Tirelessly keeps on creating content thus diverting her energies only in one direction instead of promoting it as well. To begin with, you need a great content distribution strategy in place and this is exactly what we are looking forward to sharing with you: A foolproof, step-by-step guide to content distribution strategy. What Is Content Distribution Strategy? 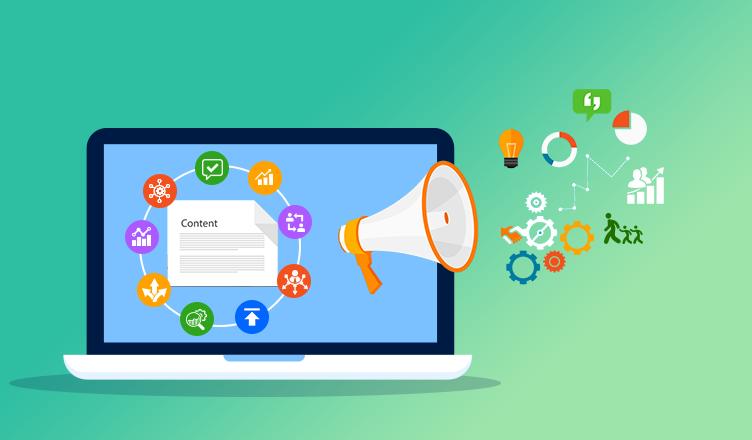 Simply put, content distribution is a crucial part of marketing wherein, once you create content, you ought to make use of the strong channel to distribute your content. This distribution in return will help you drive traffic to your content: blog, website, and so on. Mere creation has no value when it is not shouted out to the readers. This distribution of content requires a well-crafted strategy to achieve success. Content distribution strategy beholds a concrete rule fondly known as the Pareto Principle or the classic 80/20 rule. This was conceptualized on the findings of an Italian economist, Vilfredo Pareto. As per the rule, “for many events, roughly 80% of the effects come from 20% of the causes”. As the info-graphic evidently states, when Pareto principle is applied in the content distribution strategy, 80% of efforts constitutes to the time spent on distributing content and just 20% on creating useful and relevant content. When you start implementing this principle to your B2B content distribution strategy, your blog, website, etc.. traffic will skyrocket by not only 100% but by 200%+. Once you have set eyes on following the Pareto principle it’s now time to explore steps to effective content distribution strategy for your business. Identifying Your Goals: Identifying and setting ideal goals for your content plan takes the front seat. This enables you to understand what you can achieve with the created content & makes it easy to measure success. Example: if your distribution plan says you have to get at least 15,000 people to your blog in the month of April, then setting daily goals and measuring your distribution efforts makes all the sense in the world. Research: the best-suited target audience, online markets and SEO driven words to accomplish your goals. Brainstorming For Ideas: Let creative ideas and concepts flow free like a river. In the brainstorming session, your only aim is to lay a strategy to accomplish your goals. Choose Content Type: Based on the above steps, you choose the best type of content for your blog, website, etc. Example: If you know that a blog will make all the difference to your online presence then set up a blog for your business. Similarly, choose a combination of content options available in abundance today – social media post, videos, infographics, podcasts and more. This choice makes your content distribution strategy a cake walk. These steps have great depth and importance to them. Explore all the steps in detail and plan the most effective content marketing strategy for your business now. What’s The Need? : Identify what the readers really want to read. If they want to read about apples you cannot offer them oranges. You can identify this need in various ways. One of the most popular and time-saving ways is: conducting online polls on portals such as Facebook, Twitter and more. Ask your followers and likers to actively participate in these polls and share their valuable feedback. This, in turn, will help you churn the best and benefitting content for your readers. Write With A Flow: Just like in this blog post, you clearly know that it is addressing the content distribution strategy right from the beginning. Similarly, you need to be clear about your message and purpose of writing a particular piece of content. This clarity will help your lost readers find you and stay glued to you for long and forever too! Weave Your Content Into A Story: In continuation to the previous point, along with writing with a flow, you need to also weave a story around your topic. Sangeetha’s example above was crucial to make you understand the context of content creation and distribution. This made it clear that creating is good but distributing it is the hero. The first two steps are enough for creating a masterpiece content, now let’s shift our focus to be starstruck by the queen: “distribution”. Refer to the Pareto principle or 80/20 rule stated and explained above to understand the importance of having content distribution strategy in your content marketing plan. Shown below are some of the channels you can make use of to distribute your content online. Note: These channels may vary from business to business and need to need. Not necessary all channels will be advantageous for your business. What Do These Channels Signify? It simply means driving traffic to your content without paying a penny. Organic channels drive traffic without the need to spend on advertising. These are very effective in the long run. At first a lot of hard work goes in, but later on, it’s all about reaping the benefits. The key is perseverance! Unlike organic content distribution strategy, to drive traffic to your content immediately, you have to spend some money. This is called ‘paid advertising’. One of the easiest and popular ways to advertise your content in order to gather new customers is through Facebook ads. It’s been decades since Facebook’s existence, but still, the social media channel lives strong and long. Find out more on How to Drive Online Sales Through Facebook? There are no hard and fast rules to identify content distribution channels ideal for your business. What might work for one business might not work for the other, but there are some common channels, which every business can make use of. Google Ping: is a free online tool that helps you ping or notify the search engines that your blog and websites have been updated. Now, search engines will recrawl your website and help in bringing your content organically to the top searches. 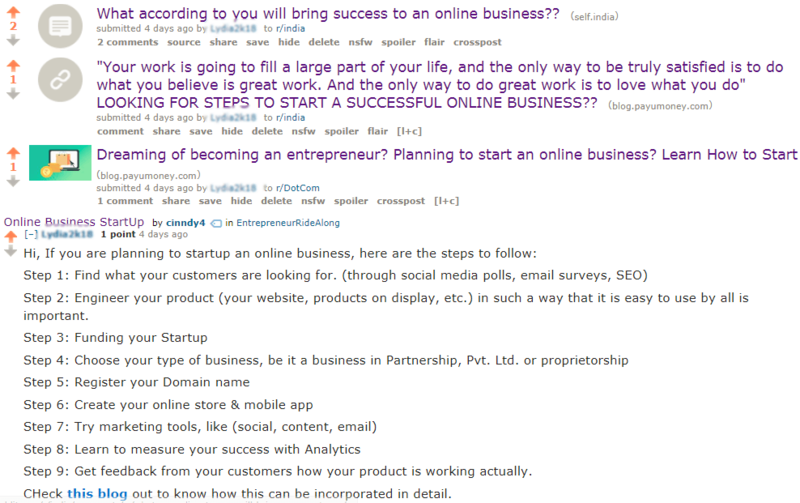 Reddit: is one great way to stay connected to your audience. This is only when you post quality content and not spams! Then, your content will be listed on quality content sharing sites. At first, you might find the channel a bit difficult to navigate, but once you get a hang of it, you’ll enjoy being a Redditer. Also, note that Reddit is a great channel to increase your blog’s ranking as well as indexing your blog! Facebook: is one of the top marketing channels. A recent study projects that, Facebook drives more traffic than other social networks at present. The key to content distribution strategy on Facebook is to bring brand awareness to your followers by keeping them engaged. Only then your post will get more likes, comments, shares as well as more blog traffic. LinkedIn & Email Marketing: LinkedIn is a social networking platform for professionals that can be easily tapped to connect with contacts relevant to your field. Target your readers by sharing a blog publicly, with your connections, groups, or to specific people. Another important marketing channel is Email Marketing, which is the most effective of all marketing channel. Properly segment your audience so you share only content they find interesting. This gives you access to millions of readers who might become your potential leads. 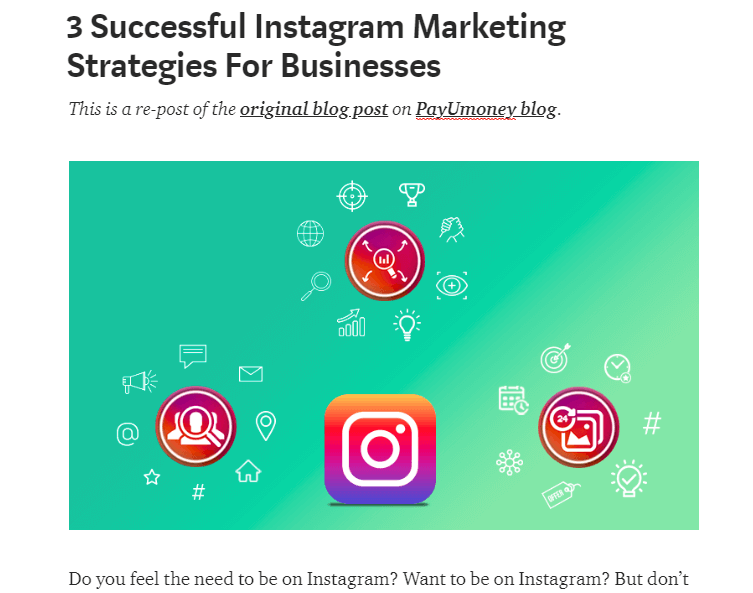 Many major brands post their content regularly on Medium. Pro-tip: Drive traffic to your blog from Medium by adding a link in your republished post to your original blog post. The same can be followed on LinkedIn as well. Start by giving a summary of your blog on LinkedIn post and re-direct your audience by providing a link to the original blog post. Providing the right content, the wrong way does not drive traffic to your blog either. Always take efforts to make maximum use of the content you create. The blog can be repurposed into popular ways that will keep your customers engaged. Repurpose, Reuse, and Repeat should be your motto! Infographic: Did you know infographics are 3 times more likely to be shared on social media compared to others? you can make use of Pinterest for infographic distribution as well. These are some simple and cost-effective ways to repurpose your blog and shoot up your blog traffic. Also, check our pages on the following platforms to get a better idea PayUmoney Medium Publication, PayUmoney SoundCloud Stream, PayUmoney YouTube Channel, and PayUmoney Pinterest Page. Scheduling post and distributing content go hand in hand. If you do not schedule your post, you will find it hard to distribute the content effectively! And, distributing the content to the right audience will help you boost your blog traffic. Distributing your content in Social Media at the right time has its own perks. Reaching out to your audience this way will need prior planning, scheduling and of course a distribution calendar. Reach audience at the right time, especially when they are active online to get the maximum engagement. Schedule post in advance to save time and reduce stress. Connect with followers in real-time by scheduling your post. With online social media marketing tools, you can schedule the content you want to post online at the right time and even for a month from now. There are tools to help you with distributing content, but you will not have tools for every platform. In that case, you will have to take some efforts to distribute the blog and the repurposed content manually. True, it will take time and a lot of effort from your end. But when you are consistent, you will reap the benefits! Measure the reach of the content you shared (distributed) to know where you stand. From this, you will come to know whether your content distribution strategy is working or not and how it can be improved. You will have to keep a tab of the comments, likes and shares you received for your blog on different distribution channels manually. Also, make sure you respond to all of that. This will not only keep your audience engaged but also show them that you care. You can use tools like Google Analytics to measure your blog traffic real time and even know when and how you get traffic. Swiftly go through “How To Measure Your Blog Performance The Right Way” to know how to use analytics in detail. Creating quality content and distributing it across multiple platforms is not a small ordeal. Set your time according to the 80/20 rule. With an effective plan, a content distribution strategy and a persevering spirit your blog can reach a larger audience and convert them into your customers. Planning to venture your business online? Looking for ways to collect payment online? Signup with PayUmoney today, India’s best payment gateway!